The modern elevator is an invention that some have said allowed the expansion of cities vertically rather than just horizontally. They may seem like mundane objects, but imagine getting to a 20th floor office only using the stairs and you’ll appreciate them a little more! We often ride in elevators, but being stuck in a metal box for the duration of the journey means that we rarely get to see how it works. Just to clear it up for everyone who has been wondering exactly how they’ve been ascending and descending with such ease we’re going to explain how lifts work, including the systems that keep us safe. To understand how elevators work, we first need to understand gravitational potential. Simply speaking, as we move further away from the earth, or increase your altitude, you increase the amount of gravitational potential energy you have. If you walk up a flight of stairs, some of the energy you used to walk is converted to this gravitational potential energy. When you are decreasing in altitude, this gravitational potential energy is used, and this is why walking down stairs is easier than walking up them. One of the key components of a modern elevator is the counter weight. These are metal weights which often weigh around the same as a half-filled elevator car. These counterweights are attached to the opposite end of the elevator cable and move in the opposite direction to the lift. When a lift goes down and the counterweight goes up, the counterweight gains some gravitational potential energy which can then be used when the lift is going up. These counterweights mean that the motor needs to use less energy to move the elevator up and down, the cables have less strain on them and it is easier to stop and start the elevator car. It is a common fear of most people that if the elevator’s cables were to snap, the car would fall to the ground. Elevator cables are very strong and so one snapping is very, very unlikely, but even in the case that it does there is an emergency braking system usually in the elevators guide rails that will stop it falling. Elevators also have systems called speed governors that stop the elevator moving too fast in either direction. These systems, usually either mechanical or electromagnetic, automatically stop the power and apply the brakes, depending on how fast the elevator is travelling. This system keeps the elevators passengers from injury in any situation that may cause the elevator to travel at dangerous speeds. 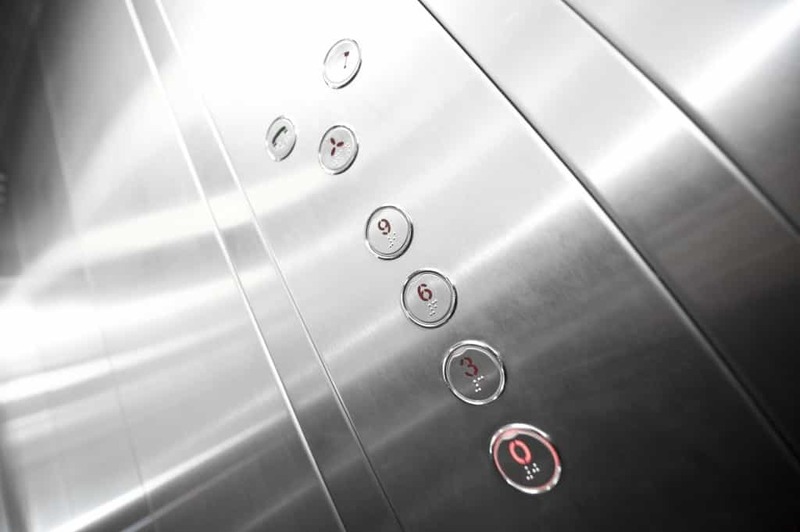 Here at Axess 2, we certainly know a thing or two about how lifts work and that’s how we can provide the best lifts and fitting services to our customers. Our wide range of lifts includes everything from passenger lifts, goods lifts, home lifts and much more. If you would like more information about what we can provide don’t hesitate to contact us on 01200 405 005 and a member of our team will be happy to help.